Surgery went fine in Friday. I ended up being in surgery for almost five hours, but I like to think that’s because my surgeon is very thorough and wants to be sure he does the best job possible. I didn’t realize it right away, but that’s actually about as long as the original mastectomy. I didn’t need to stay in the hospital because the pain level was much lower, but it did take a while for me to shake the anesthesia. Having not eaten at all on Friday, I was shocked not to have an appetite until around Saturday afternoon. Even Sunday, meal time sort of felt more like I was going through the motions. 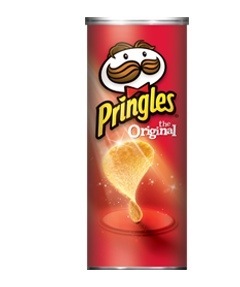 For me, Pringles are the perfect post surgery food, light and salty, and they’ve been my go-to these past couple of days. Speaking of pain, I really wasn’t expecting too much. It certainly wasn’t as intense as last time when I required a morphine pain pump to get through that first night. But the Percocet I took didn’t quite do it Friday night and I didn’t sleep well. Saturday was rough (though not at all unbearable), but thankfully that night the pain dropped off enough to let me sleep and Sunday was a much better day. I’m not supposed to lift anything over five pounds for a couple of weeks and reaching too high is tough at the moment, but I really do feel like I’ll be pretty much back into the swing of things pretty quickly. Back in the swing of things, that’s right where I want to be.